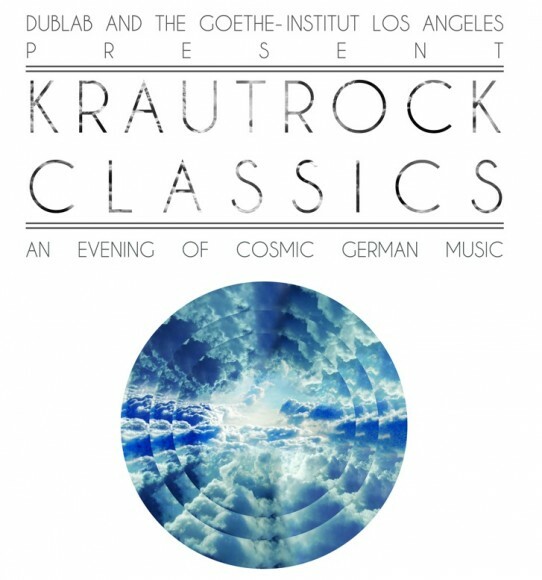 To open the 2012 Summer Season at the Ford Amphitheater in Los Angeles, Dublab and Goethe-Institut will be showcasing a variety of performances, including a cover of Kraftwerk’s Computer World by Nite Jewel and Peanut Butter Wolf. The live concert, Krautrock Classics – A Night of German Cosmic Music, will take place on June 1st at 8 pm. All of the night’s performers are influenced by German performers from the Krautrock period, and while they each evoke individual style, they still retain their connection to the “cosmic sound” of Krautrock. Buy your tickets by May 25th for an earlybird price! Tickets are available at the Ford Amphitheater website. Nite Jewel & Friends (featuring Peanut Butter Wolf, Secret Circuit, Nedelle Torrisi from Cryptacize, and Cole MGN) performing Kraftwerk’s “Computer World” in its entirety. Carlos Niño & Friends (featuring, Dexter Story, Diana Booker, Gaby Hernandez, GB, and Surya Botofasina) covering Popol Vuh.